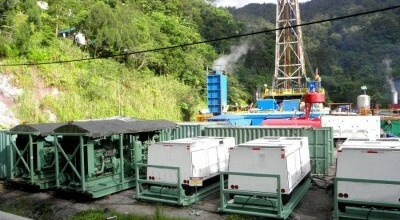 Geothermal energy is the energy stored as heat in the earth. 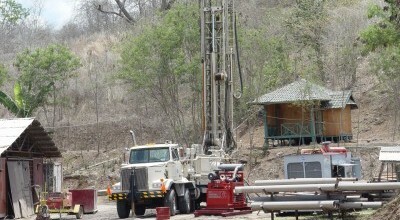 The energy is accessed by drilling water or steam wells deep into the earth. Extremely deep wells can be drilled to extract steam or hot water that is circulating amongst the sub surface rocks, or by pumping cold water into the hot rocks and returning the heated water to the surface, to drive steam turbines to produce electricity. The larger range of Air Research Booster such as the 2410, 2710 or 3610 allow more air volume with the ability to connect up to three primary feed compressors to one booster. 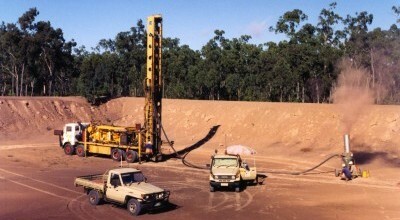 Booster compressors are used to raise input air pressure to increase drilling speed and depth. 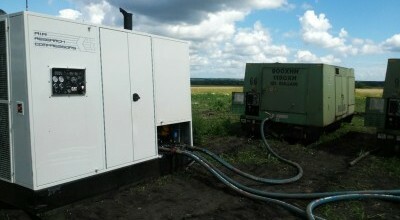 Using one or more feed compressor typically the booster will increase pressure at a 3:1 ratio – for example 350psi in 1000psi out with no change in air volume. High pressure compressed air from the Air Research booster is used to drive the RC hammer and clear the cuttings from the hole and allow for dryer more precise samples in the presence of water and moisture. All of our Boosters provide better penetration rate, cooler drill bit temperatures, and longer drill bit life. The most common need for Booster services on oil and gas pipelines are pressure testing, de-watering, purging, cleaning, drying and corrosion inspections. With the worldwide demand for cleaner energy the importance of maintianed gas pipelines is key. We have both our smaller compact Boosters as well as the larger ones deployed in Russia for many of the above pipeline services. Wells can vary greatly in depth, water volume, and water quality. Drilled wells are typically created using either top-head rotary style, table rotary, or cable tool drilling machines, all of which use drilling stems that are turned to create a cutting action in the formation, hence the term drilling. Boosters are used to proved high pressure to percussion bits for greater penetration and cleaner holes.